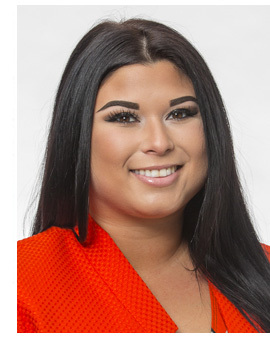 Meet Christina Drumm-Boyd, Founder - Care Connect of Hampton Roads, Inc. The Mission of Care Connect of Hampton Roads (CCHR)is to provide comprehensive guidance and access to quality care and service solutions that will exceed expectations, maximize independence, minimize expenses and stress associated with long-term care. I founded Care Connect of Hampton Roads in December 2006 specifically to address the growing and specialized needs of the aging population. My passion for senior advocacy and care management stems from my years of work within the local senior health care industry serving as director of admissions and marketing for assisted living, nursing homes, memory care, and independent living communities as well as my educational training in Human Services Counseling. I also served as a support group facilitator for the Alzheimer’s Association. From an early age, I was exposed to challenges of eldercare, when my grandfather came to live with my family after being diagnosed with Alzheimer’s disease. It required the efforts of the entire family to provide the care that my grandfather needed and deserved. It was not always easy and at that time specialized services were scarce and financial resources limited. My grandfather’s care needs would change overnight and I would watch my mother struggle to adjust, all while working a fulltime job and raising a family. My commitment to assisting families who are struggling with long-term care is always approached from a place of empathy and my own personal experience. In October of 2007, Christina obtained accreditation as a Certified Senior Advisor. She is also an Accredited U.S. Veterans Administration Agent which gives her specific knowledge to assist veterans and the widowed spouses of veterans to obtain the benefits they deserve. Visit the Veterans area on this website for more information. As an expert in her field, Christina is available as a speaker and presenter for local businesses and organizations. o Director of Admissions for assisted living, nursing homes, memory care, and independent living communities. o Educational Trainer, Human Services Counseling. o Support Group Facilitator, Alzheimer’s Association. Kelsey joined the Care Connect of Hampton Roads team in 2015, and is an essential part of our staff. After receiving her degree in Psychology and Business from George Mason University, she returned to the Hampton Roads area to work for Sentara as a Personal Plan Advisor. Kelsey is licensed as a Life, Health and Annuities Agent, which gives our clients a huge advantage when navigating the Healthcare Marketplace, as well as Medicare and Medicaid insurance coverage options. She is also well versed in working with the Veterans Administration (VA). 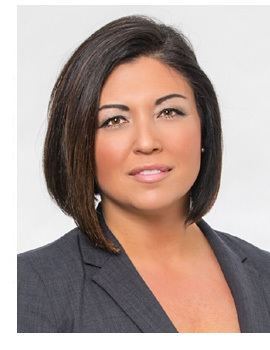 Our clients count on her for facilitation of Service-Connected and Non-Service Connected claim processes, under the management of Accredited Agent, Christina Drumm-Boyd, to ensure that all the “I’s” are dotted and “T’s” are crossed prior to submitting information to the VA for review. Her deep knowledge of VA rules and regulations are KEY to getting our clients through this often cumbersome process. If you need help with an aging parent and live in Virginia Beach, Norfolk, Chesapeake, Newport News, Hampton, Portsmouth, Suffolk, Williamsburg, Hampton Roads, North Carolina, Currituck, the Outer banks or even outside of the state of Virginia, we can help. For a consultation, please contact us at (757) 271-4270 or cdboyd@careconnecthr.com.